“What midi controller should I use for VJing?” is similar to “How long should my piece of string be?”. Without knowing what you’re using the string to produce, what kind of environment the string is going to be used in and what programs the string is going to control, there isn’t really an answer. So I’m going to start with “How are the midi-controller requirements for VJing unique”, and then give you my current solution for “What midi controller should I use for VJing with Resolume, if I don’t have enough money to buy the ReACT custom Resolume controller?”. VJing doesn’t require so much in velocity sensitivity or aftertouch, so those fully-weighted super-responsive keyboards aren’t really going to help. 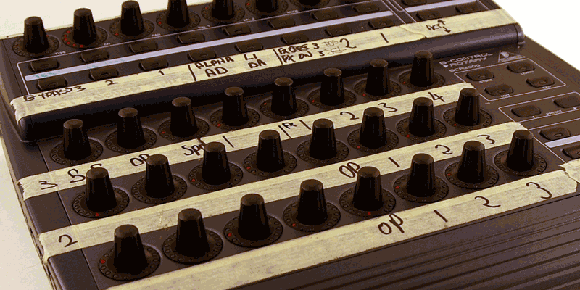 Piano keys work fine for triggering clips and applying effects – programs such as Arkaos have taken advantage of the proliferation of keyboard style midi controllers – but for the VJ’s traditional grid-o-clips a couple of rows of pads or a simple qwerty keyboard is a much more intuitive method of triggering source material. The unsubtle triggering control is made up for with knobs and sliders. With each image layer requiring controls for opacity, speed and scratch (or playhead position), filter parameters, filter opacity, in point, out point… The slider and knob requirements build up quickly. 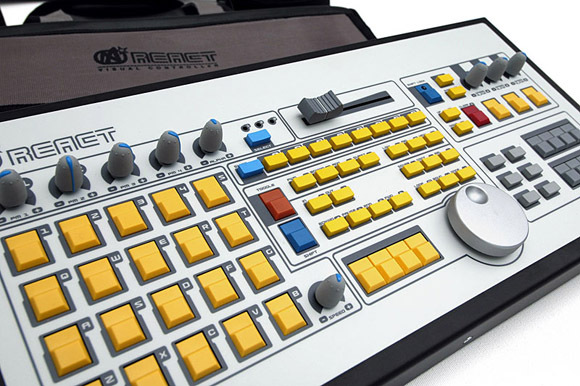 Obviously if you can use a purpose-built controller such as the ReACT or Edirol’s MD-P1, but where’s the fun in that! The whole point of midi is spending weeks assigning controls and tweaking until you’ve got a finely tuned setup which is second nature to you and completely incomprehensible to anyone else so those backseat drivers in the club will have no idea what you’re doing or how you’re doing it. I tried out Evolution/M-Audio’s UC-16 and X-session, but 16 knobs is only just enough to dip your toes into the pool of ninja fast Resolume control. 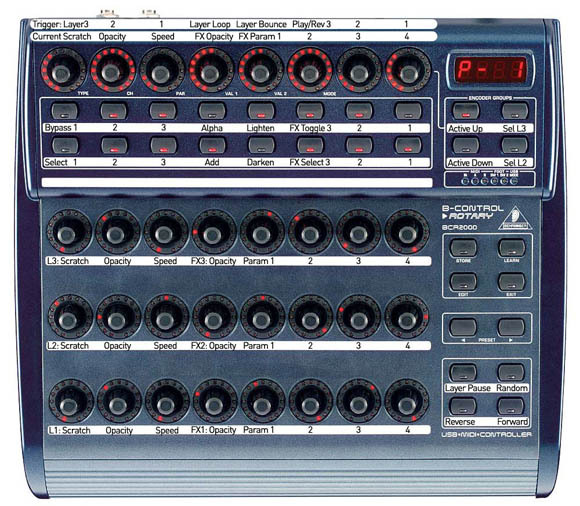 I was considering a Trigger Finger (while bemoaning the prevalence of 4×4 pad controllers) when one of my bandmates picked up a Behringer BCR2000. 10 minutes with it plugged into Resolume and I was hooked. I’m fully aware of the… interesting reputation Behringer audio gear has picked up over the years. But set your prejudice aside for a moment and marvel in the hottest combination of cheap and midi control in one knob encrusted box. 32 endless rotary controllers (8 of which have push function) and 24 buttons. Over 500 LEDs. AU$265 (US$195) street. Smoke filled club? No problems. This is a particularly attractive controller for Resolume because the 3 main groups of knobs mirror its 3 layer control scheme. Even the ReACT requires the use of shift or layer select keys to choose which layer you’re tweaking. Clip triggering is covered by a qwerty keyboard (handy hint: recent model Thinkpads have a built in LED to illuminate your keyboard in dark clubs), but most other controls can be covered with a BCR2000. 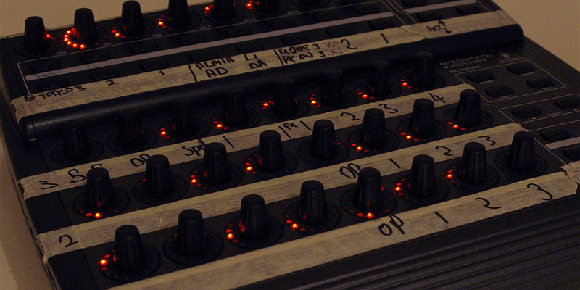 Midi mapping is as personal as operating system setup or plugin selection. I expect every VJ to have their own method of control and preferred layout. There’s no way I’m going to tell you my kung foo is superior, but if you’re still VJing with a qwerty keyboard and mouse it may be time to take a little of that gig money and see how much further your style can go.